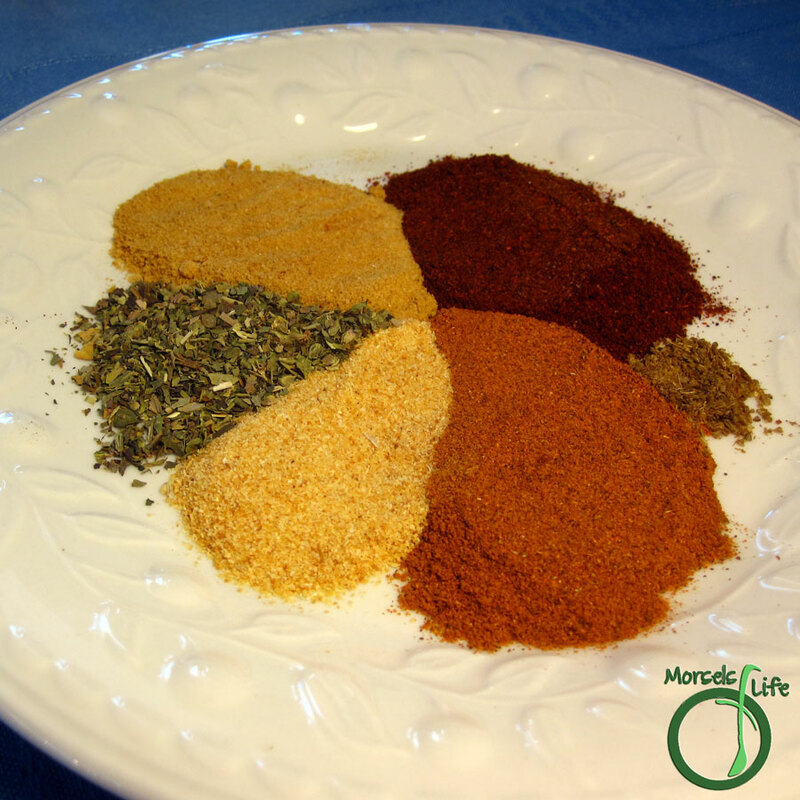 A quick, easy, and tasty taco seasoning you can throw together in minutes! I was talking to some friends about how to make meal prep faster or more efficient. One way to simplify meal prep is having some components pre-made. (Bisquick, Italian Dressing Seasoning, etc) I know it sounds obvious, but I'm thinking I can't be the only one scrambling at meal time? Please tell me I'm not! What's your favorite method to make meal prep go more smoothly? I love this idea. I also like how you didn't put salt in. The pre packaged ones are very high in sodium! Thanks so much for Linking up at Show Me Your Plaid Monday's! I love the photo of the spices! I think it is great to make your own combination of spices to your own taste! Thanks for sharing. P.S. I am now following you on facebook! And thanks for the FB follow. I really appreciate it! THank you for sharing this recipe on Foodie Friends Friday! I'm going to share this on my Walking on Sunshine Facebook page tomorrow! Don't forget to come back on Sunday to VOTE! Thanks for coming by my blog and linking up! Thanks for the invite. :) Hope you and your readers enjoy the DIY Taco Seasoning! It's always fresher and better when yo combine your own seasonings and no MSG or other preservatives. Thanks for sharing on Foodie Friends Friday. PS Please grab the FFF badge or include a link back from your blog post to www.foodiefriendsfriday.com. Love this! Thanks for sharing this! I prefer using homemade seasoning then packaged ones! Stopping by from Fantastical Sharing of Recipes. Thanks for linking up to Friday Food Frenzy! This is one of those DIY kitchen staples that I make regularly. Thanks for sharing at Pinworthy Projects. It's something I try to keep around for quick meals. :) Thanks for hosting. Oops - I had the link to FFF going to the blog where I linked up. I'll change it to foodiefriendsfriday.com now. Thank you for linking up to Tasty Thursday - you were my most clicked (which I think you saw already!). I definitely want to try this one - it's different from the one I have. Yes! Thanks for the feature. :) I hope you enjoy this taco seasoning too! I made this! & blogged it =) Thanks! Want to make this to have on hand, but wondered how much do you use for a pound of ground beef?